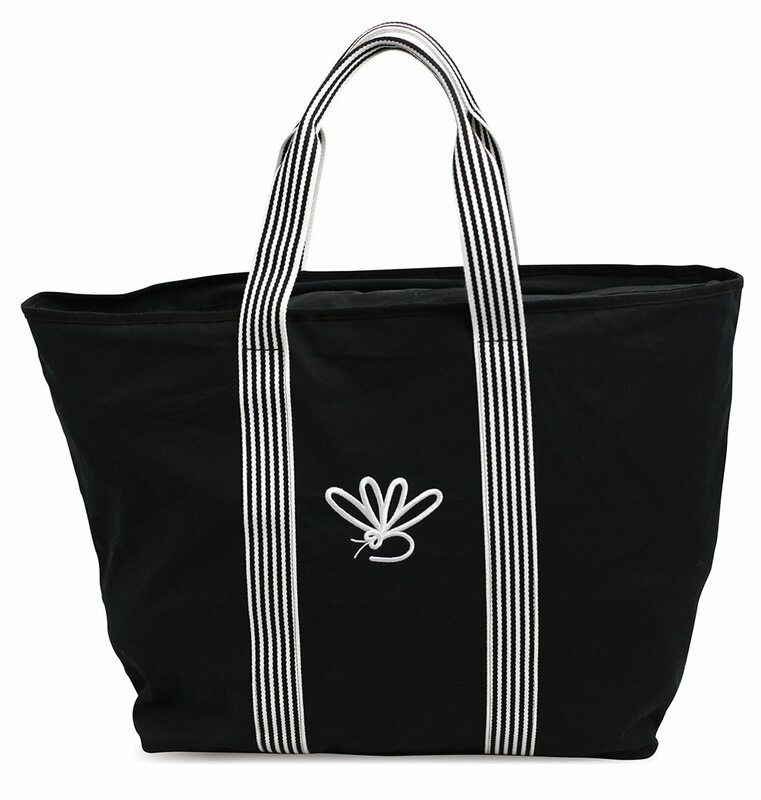 Made from all natural trims and 12oz cotton canvas fabric, this beach bag is especially designed for frequent use, sized to fit almost anything. Removable base so it can be machine washed, extra large zip up compartment to hold phone, sunglasses and or wallet, extra long handles to make carrying easy. Available in black with white and black handles. Finished with an embroidered dragonfly in white on one side.